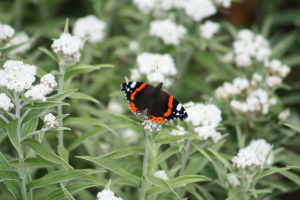 Observation - Red Admiral Butterfly - UK and Ireland. Description: Landed on in the garden just in front of some nettles. Landed on in the garden just in front of some nettles.